The story of firefighter Juan Carlos Gomez is dominating the news cycle in Laredo. Gomez crashed into a police car back in February and now we find out that his alcohol level was .19 percent. The LMT has the piece on its website for all to see and comment on. The Laredo Sun also has the story but they have the date of the incident wrong. KGNS got a comment from Fire Chief Steve Landin last night and he was none too happy with the coverage. I think Pro 8 news did a fine job of bashing the organization three or four days in a row. Putting somebody over and over in uniform. Perhaps it is unfair to cast a bad light on the fire department when the car crash happened on Mr. Gomez' own time. But crashing while intoxicated and being a paramedic/firefighter is pretty ironic. These guys see the effects of bad judgement and risky behavior all the time. It's a bad example to set for people. It's like being an advocate for safe driving and being caught slumped over the wheel of your car, supposedly drunk. It's like being a cheerleader for abstinence and having an affair with one of your aides. It's like... (insert Sarah Palin analogy here). But back to Mr. Gomez. Let's forget for a minute that he's an employee of the city. For the sake of this conversation, he's just a 38-year-old member of this community who got drunk one night. A lot of us will let this sort of thing slide because it's something that's so common. 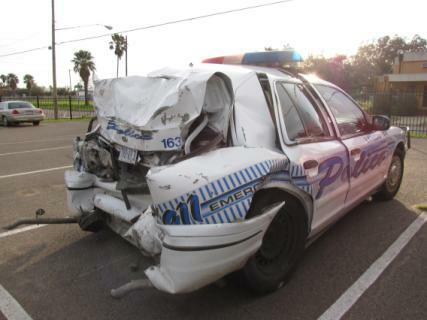 Local JPs have been caught driving drunk. I have family members who like to get smashed every now and then. Brownsville's mayor recently got caught. But all these people are adults and they probably have kids. At what point do they grow up? At what point do you ask yourself, maybe it's time I cut down on the sauce. Hopefully this car crash will be Mr. Gomez' wake-up call. For others it will come in the form of a large amount of bloody vomitus. The community talks a lot about teens driving drunk, cancer awareness, autism, diabetes, etc. But A.A. and alcoholism gets little press. When we're young we act on impluse. It's unavoidable. We don't know any better. But in our middle adult years, it's more than falling out of line, as Chief Landin suggested. Being lit up at 38 necessitates an intervention. Also, somebody should say something about beer kegs making an appearance at kids' parties. Teachers who drink should be called out. And St. John should not do his radio show drunk. Local officials always come out advocating for kids. The "children are our future," as Whitney Houston said. (I wonder if she gets a royalty every time somebody says that.) I'd like to see a PSA from Raul Salinas speaking against alcoholism. He could do it from his favorite spot, Papa Gallos. It's a serious problem, alcoholism, and one that hopefully gets more attention.